For stock market investors, an inverted yield curve is a sign that equities could peak before an economic recession hits. It also can be a precursor to a bear market in stocks, where equities fall 20% or more from highs. Bank stocks such as Bank of America (BAC), JPMorgan (JPM), Citigroup (C) and Wells Fargo (WFC) sold off following the yield curve inversion in late March. The inverted yield curve reared its head after the Federal Reserve Board signaled that no more interest rate hikes would be forthcoming this year. Ten-year note yields sank below three-month Treasury bill yields for the first time since August 2007. Could Bank Stocks Rally With Steeper Yield Curve? However, bank stocks could rally if a steeper yield curve develops late this year. 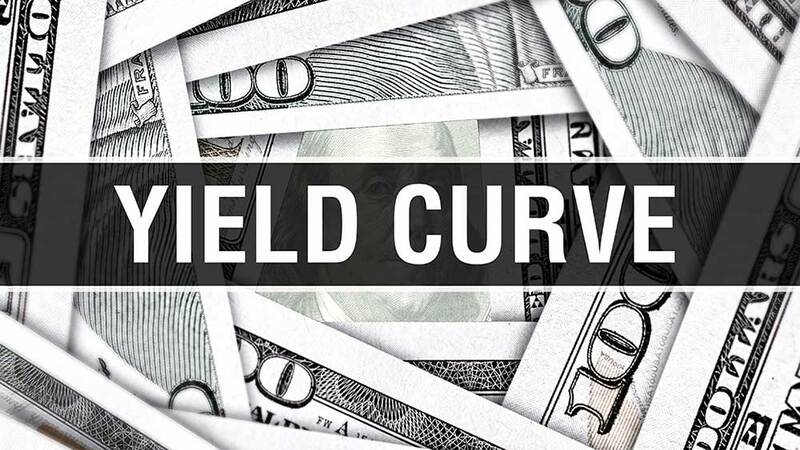 A steeper yield curve would emerge if the Federal Reserve moved to cut interest rates in the second half of 2019 to “recharge the economy,” RBC Capital said in an April 12 report. “A cut in the Federal Funds Rate in the second half of the year would mirror the behavior of the Federal Reserve following the 1994-95 tightening cycle, which led to a steeper yield curve,” RBC Capital said. That would be a plus for shareholders in JPMorgan, Citigroup, Bank of America, Wells Fargo and other bank stocks. Simply put, an inverted yield curve occurs when short-term bond rates surpass those of long-term notes. The most closely watched indicator for an inverted yield curve is when the yield of three-month Treasury bills rises above the yield for 10-year Treasuries. U.S. Treasuries are bonds, or debt, sold by the federal government. On the other hand, a bullish steeper yield curve can be triggered when the Fed cuts interest rates. And, it’s viewed as a positive development for the profitability of bank stocks. That’s because of how banks borrow and make loans. A steeper yield curve occurs when the gap between short-term and long-term bond rates increases. It’s the opposite of a flattening curve. The flattening of the yield curve had been a trend since around 2013. The Fed’s dovish stance in March prompted warnings that the U.S. could be headed for a recession in late 2019 or early 2020. While an inverted yield curve has been a reliable indicator of slowing U.S. economies, the timing of an upcoming recession has been uncertain. Historically, prolonged “curve inversions” have usually preceded major economic slowdowns by about a year. Can Inverted Yield Curve Be A False Alarm? Economist Ed Yardeni has noted that an inverted yield curve can occur prematurely. For example, it turned negative a couple of times during 1995 and during 1998. A recession did not officially start until March 2001. However, U.S. stock markets imploded much sooner — in 2000 — amid over-investment in unprofitable internet companies and telecom networks. While the yield curve can signal that the risk of recession is rising, global monetary policy remains equity-market friendly, analysts say. A solid U.S. labor market continues to support consumption. And, some economic indicators such as copper prices are still positive. Bank stocks are a key sector to watch because a yield curve is associated with a credit crunch. It’s said that banks stop lending when the rates they pay in money markets on their deposits and their borrowings exceed the rates they charge on the loans they make to businesses and households. Follow Reinhardt Krause on Twitter @reinhardtk_tech. Chart Reading For Beginners: What’s In A Stock Chart? Why Use Charts?